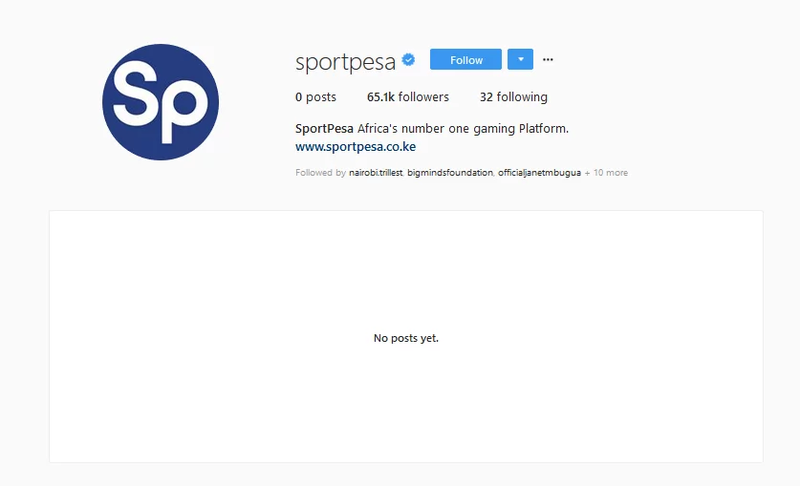 Social media is about to be ablaze after SportPesa’s Instagram account was cleared off late last night. The page went from having 199 posts to zero posts. This most likely could be a case of hacking by malicious people. SportPesa’s officials have yet to make any comments as to why their Instagram page has no content. There are two probable causes to the situation. Either a) SportPesa’s Instagram page has been hacked or b) They just want to focus on other Social Media platforms. The former situation will obviously be detrimental to SportPesa players. All in all, we do expect a statement from the SportPesa team later today.